This year’s Blade and Bow 22 Year honors the 83rd anniversary of the opening of the Stitzel-Weller Distillery. 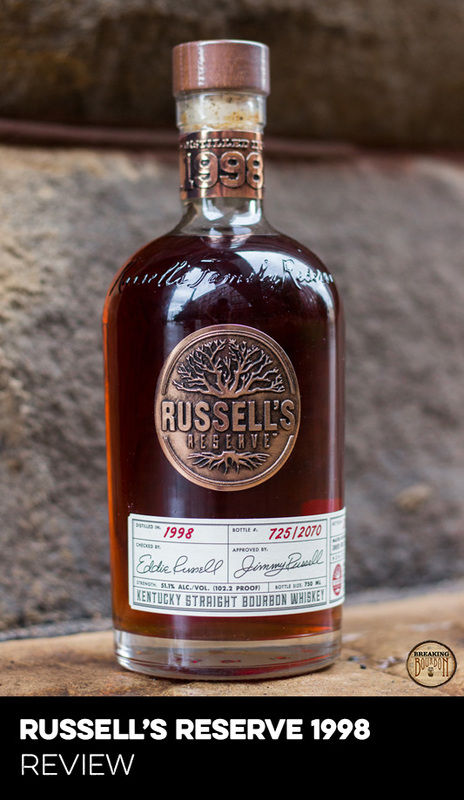 While no source distillery information was released for this year’s bottle, past releases have been a blend of bourbon from Buffalo Trace and the Bernheim Distillery (now Heaven Hill), and one can assume that this is the same stock that was used before. Diageo states that the bourbon was most recently aged and bottled at Stitzel-Weller, however no time frame was given and it’s possible that this was likely aged outside of the Stitzel-Weller facility for the majority of its life. The bourbon will only be re-released in Kentucky, New York, Illinois, California, Texas, Colorado, South Carolina, Georgia, Louisiana, Washington, D.C., Tennessee, North Carolina, Virginia, Oregon, and the Stitzel-Weller Distillery. The age is apparent from the moment I bring the glass to my nose. Aged oak, clove, cinnamon, and leather are present. Digging in deeper hints of orange cake, baking spices, and nutmeg appear. The scents all blend together quite nicely and provide a complex experience that begs for additional nosings. Sweet on the tongue, the palate starts off with a dose of orange Jello, brown sugar, caramel, and a hint of vanilla. Beneath the sweeter flavor notes are subtle hints of the higher age, predominantly leather and a dash of white pepper. The mouthfeel is thin for such an old bourbon. The palate isn’t bad per say, it just surprises you with a more youthful sip than expected, especially considering the way the nose tees up this bourbon. The time spent in the barrel shines through in the finish. Oak, leather, a hint of tobacco, and cigar box intertwine right from the start. That said, none of the flavors are overpowering or overdone which is pleasantly surprising to see for a bourbon this old. What is somewhat disappointing though is the finish lingers for only a short while with just the oak and cigar box remaining. 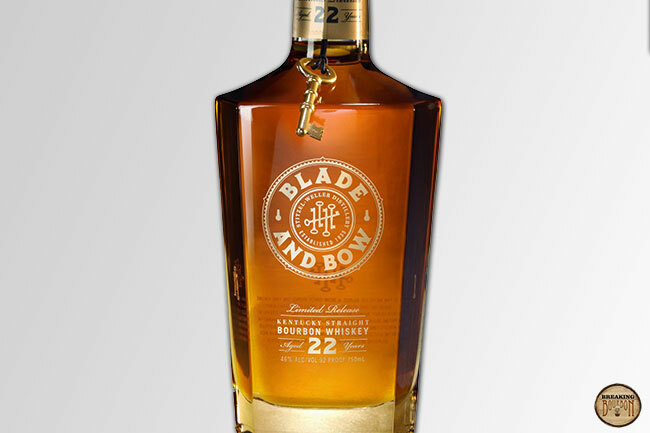 From a flavor prospective, Blade and Bow 22 Year is nothing like its younger sibling which shares its name. While the standard no age statement (NAS) Blade and Bow is light and youthful with more fruit notes coming through, Blade and Bow 22 Year delivers a deeper overall experience, which should be expected considering it’s been resting in the barrel for 22 years and is sourced from a different distillery. For such an old bourbon it delivers a surprisingly drinkable experience. The expected oak notes are present, however they don’t overpower and instead only help to enhance the experience. While this was unexpected to find, the palate throws a hiccup into the experience. I can’t remember another 20 year-plus bourbon that delivers an appropriate nose and finish with such a thin sweet tasting palate. The price of Blade and Bow 22 Year continues to rise as the years go on. When it was first released in 2015 the price was $150. Just three years later it’s nearly doubled to $250. 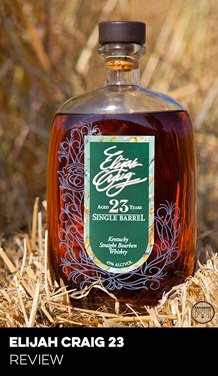 In today’s booming marketplace, a 22 year old bourbon selling for $250 should seem like a reasonable price. Other age stated bourbons continue to climb in price and very few expressions are 20 years or older on the market. However very few doesn’t mean none at all. 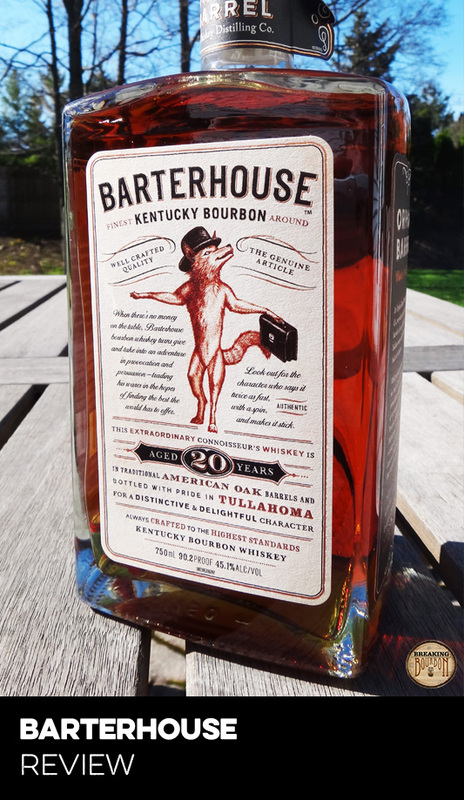 Barterhouse is a great example of a 20 year age stated bourbon from an undisclosed distillery, at almost the same proof, that sells for under $100. While not a true apples to apples comparison, it’s pretty darn close. In my opinion it doesn’t have as fulfilling of a nose that Blade and Bow 22 Year delivers, however overall, Barterhouse delivers an almost equally good drinking experience for half the cost. It makes sense that Diageo would want to increase the price as their supply dwindles. While Blade and Bow 22 Year delivers a good drinking experience, that doesn’t mean it gets a pass on the price. Yes it’s a very limited release with a 22 year age statement that some folks will buy no matter the price, but for those looking to drink this, there are better options on the market for less. 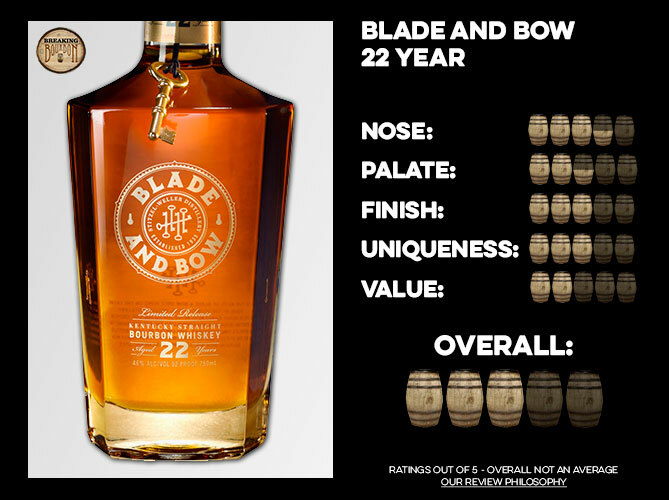 Blade and Bow 22 Year shows hints of greatness that come up just a bit short due to its lower proof. An age stated whiskey above 20 years old is a rarity. One that’s drinkable without being over-oaked is rarer still. Blade and Bow 22 Year is a good bourbon that feels like it’s on the edge of great potential. The nose is really solid and gives you high hopes for a great tasting experience. Unfortunately the palate seems like it was proofed down just a little too much for its own good and while the finish improves, it never reaches the same level as the nose. I would love to see what Blade and Bow 22 Year tastes like about 10 proof points higher. 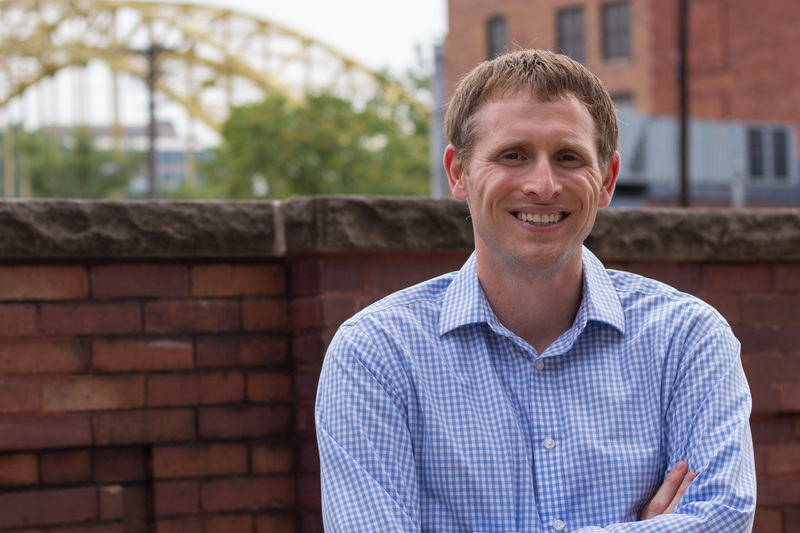 It delivers an experience that you know can be improved and is so close to doing so. It leaves me only wondering what Diageo could do for future releases if they just took a chance. A special 85th anniversary release anyone? The sample used for this review was provided at no cost courtesy of Diageo. We thank them for allowing us to review it with no strings attached.